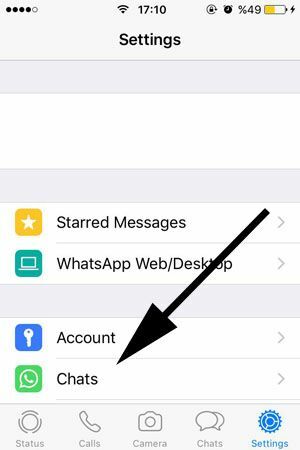 If you would like to assign a new wallpaper to your WhatsApp chat screen or change it on your iPhone device, you will find a step by step guide that will help you about it. You can also find pictures at the below of each steps. 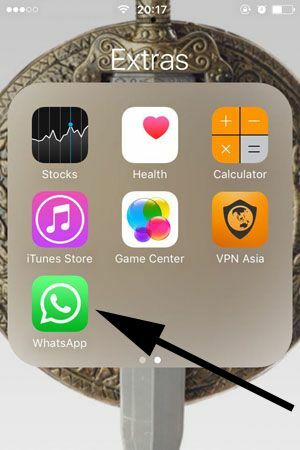 If you are having problem with changing wallpaper on WhatsApp, you can ask us through our Q&A service or you can comment this page. Please do the following steps for changing wallpaper on your chat screen. You can also do these steps at other iOS devices too. 2-) Tap on “Settings” on the bottom menu of the application. You can see the picture below for location of settings button. 3-) Tap on “Chats” on the settings page. You will see it just below of the account. 4-) Tap on “Chat Wallpaper”. You will already see this option at the top of the settings. a-) Wallpaper Library: You can get any wallpapers from WhatsApp’s wallpaper library in this section. There are very good backgrounds on here. b-) Solid Colors: You will able to assign a single background with a single color with this option. c-) Photos: You can change your chat wallpaper with a picture in your gallery. Tap one of these options and select your new wallpaper for your chat background. 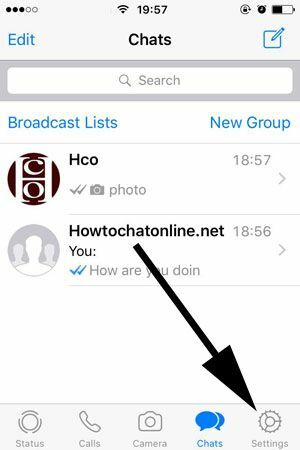 You will see a preview of your new chat background on your iPhone device. Then confirm it if you like the background. If you didn’t like it, just cancel the operation.